It just never ends, does it? Just when you begin to think that over the years every conceivable engine swap and configuration has been attempted, Nagata-san at Top Secret comes along and stuns everyone. 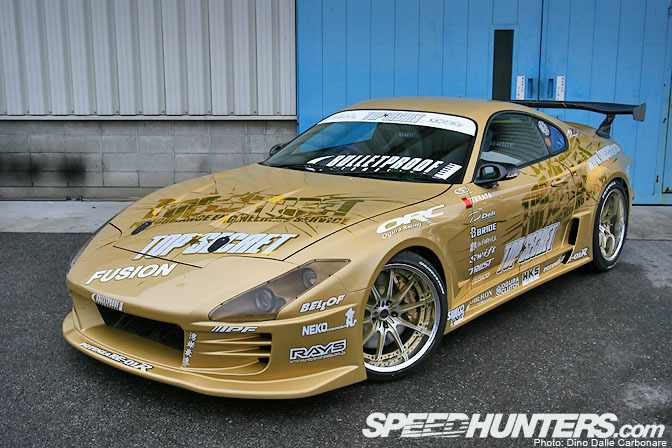 This is precisely what he did two years ago, building possibly the craziest Supra ever created. Behold the Top Secret V12 JZA80. I’m pretty sure the reason Nagata-san decided to create this car was out of shear boredom. Back in 2006, months before the V12 Supra made its debut at the Tokyo Auto Salon, things were a little sedate in the Japanese sports car market. The R35 GT-R was more than a year away from being unveiled at the Tokyo Motorshow, meaning there was nothing really tantalizing on offer. 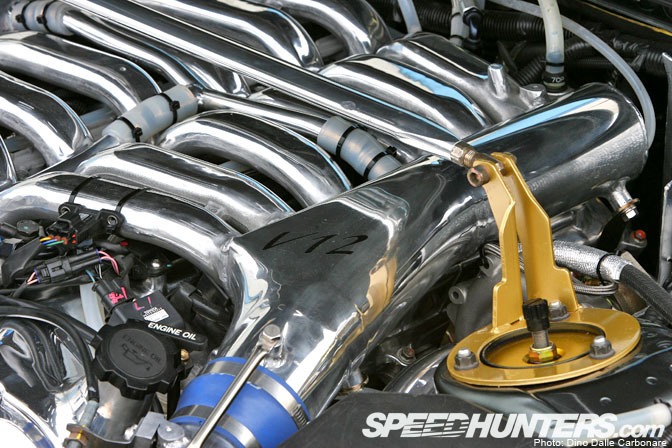 Smoky had already tuned or created parts for most JDM models around, like with the Z33. So custom one-off projects like this were the only way to satisfy his appetite for power and innovation. …especially at the front where the biggest changes are. Taking center stage are the custom headlights, which along with the front snout of the new bumper, drastically change the look of the Supra. …starting off with all the piping! 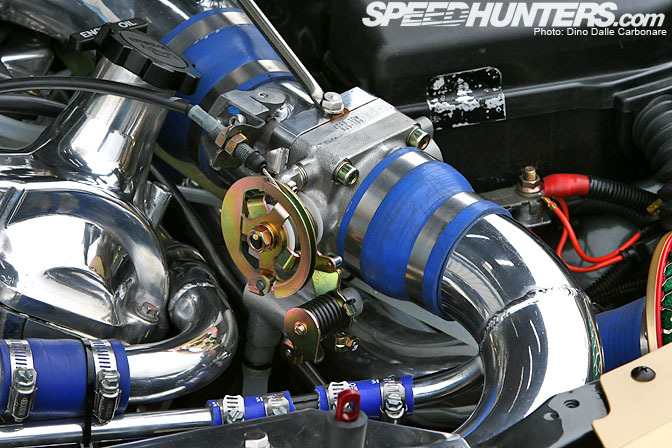 The two turbos are fitted on custom manifolds, sucking air through one-off intake pipes while the compressed air is taken to the bespoke V-mount intercooler by aluminum piping before ending with the hand built intake plenums. Check out this shot of one of the N15 Pulsar mechanical throttle bodies. Just look at that attention to detail and show-car finish! The engine work includes custom engine mounts, a dry-sump conversion with an upgraded ORC oil pump, V-mounted oil coolers, custom fuel system and twin HKS F-Con V Pro ECU’s to keep everything under control. The stock 6-speed Getrag JZA80 transmission remains but is mated to an ORC clutch and LSD. Due to the intercooler taking up most of the space up front, the radiator has been fitted in the rear of the car, cooled by the air sucked in from a custom side intake. With a theoretical top speed of well over 400 km/h it’s a good thing Nagata-san upgraded the brakes with massive GReddy 8-pot calipers at the front and 4-pots at the rear. The large discs have no problem fitting inside the Volk Racing GT-F wheels thanks to their generous size, 9.5Jx19″ up front and 10.5Jx19″ at the rear. These are fitted with Bridgestone RE-01R tires, 255/35/19 front and 285/30/19 rear. Nagata-san took the Supra to the Nardó proving ground in the south of Italy where he attempted to max the car out. He managed to hit 358.22 km/h, slightly off his initial predictions. No doubt he will attempt to go faster, maybe on the wangan or Aqua Line! 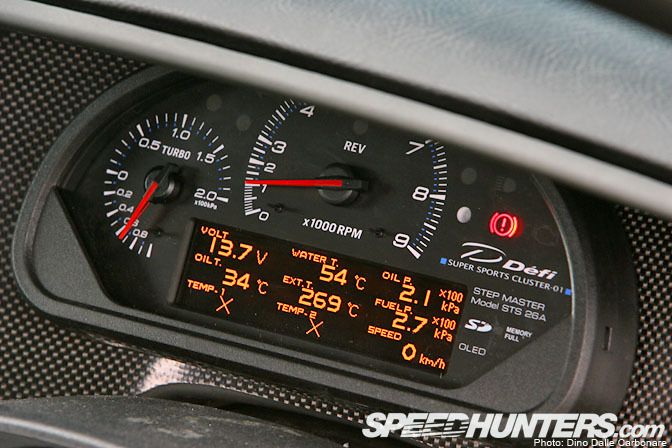 …even the very special Defi Super Sport Cluster, one of the coolest dash units/data loggers on the market today. The passenger side air-bag compartment has been converted to house the two HKS ECU’s, as well as the two Neko Corporation A/F 700 displays. The air outlets in the rear of the car are functional, expelling hot air from the radiator. 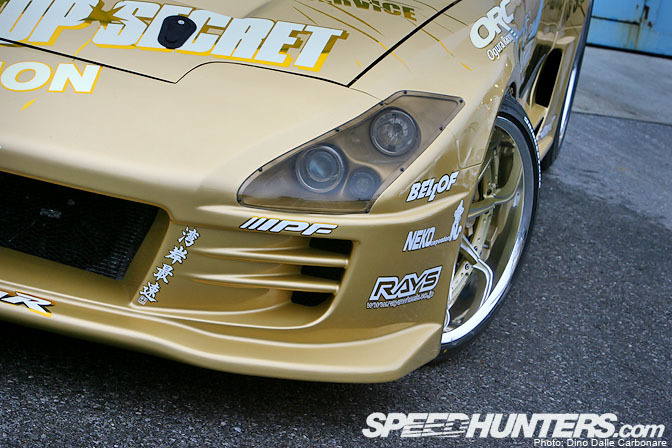 Top Secret = JDM Gods!!!! oh my god the white one in the fist pic is simply geourgeous! more shots of the white one Dino! Please??? "Top Secret will challenge to the world"
I love the car but damn, it's so ugly! 943PS and no roll cage!?! ...unless they've got it so well integrated you can't see it. this car is overrated imo (not that i wouldnt drive it). it doesnt look that good and the power isnt a record. 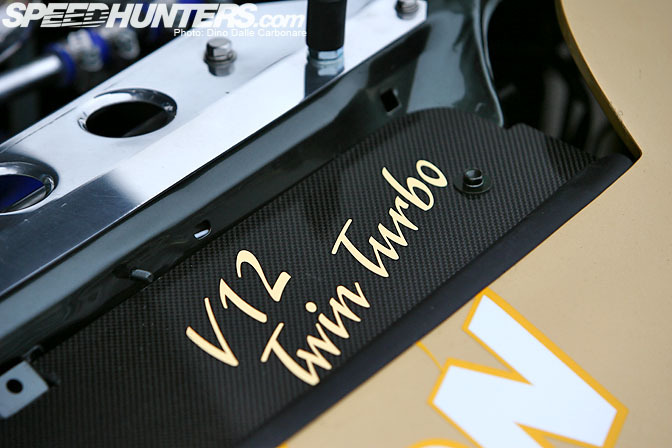 BMW guys are swapping V12s for years with some reaching over 1000 HP. awesome car but no god imo. Man, what CAN'T Top Secret develop? Hey Dino, speaking of extreme Toyotas, any chance you've covered Shorin and their "Crystalia" MR-S? ahh the G35 with the v8 twin turbo will be next. I guess that was built while he was bored waiting for the R35 GTR as well. Top Secret!!!! If you look at the left side of the rear radiator picture there is what may be the start of a cage covered in interior materials to be subtle. wallpaper for last phone plz? I love everything Top Secret creates. 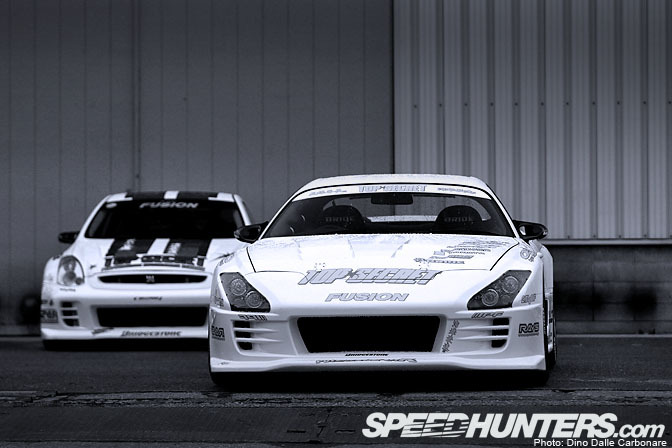 My favorite tuner ever since his RB Supra came outt. But this body kit I do not like. I just can't get into it for some reason. 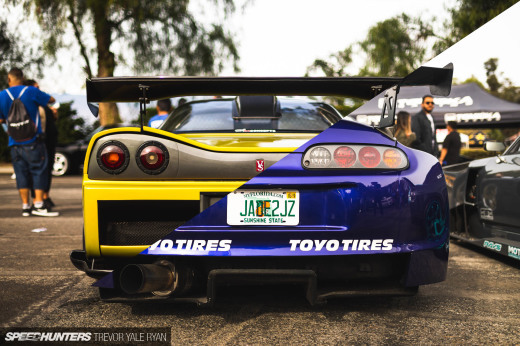 I rather have his previous widebody. The Defi gauge is jdm tight yo! that wheel name is gt-f ..
PLEEAASSE feature the V8 Skyline & PLEEAASSE wallpaper last pic PLEEAASSE!!!!!!! TOP SECRET IS ALWAYS THE BEST T_T ! NICE WRITE UP DINO ! This Supra now is somewhere in europe. There's plenty of Eurolove on here. To suggest otherwise shows your own bias I think. 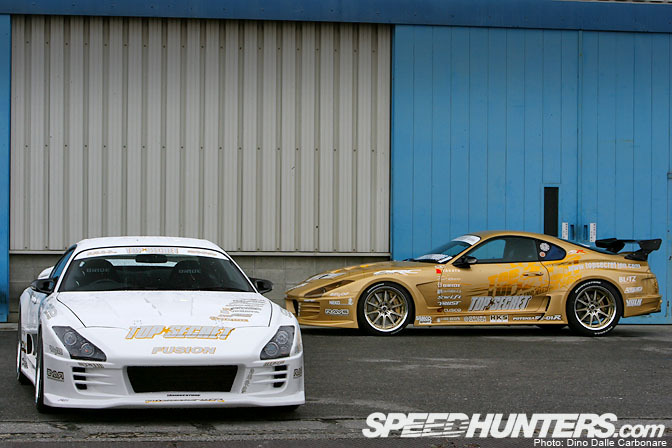 The headlights are loco on those Supras.